المشاركة بخلق محادثة حول النظم المجتمعية التي تقمع أصوات النساء، ومحاولة إيجاد الحلول لتحدي هذه النظم. ١. خلق جسور بين فريق "بيبي فيست" والمشاركين، وتبادل الأفكار فيما بينهم. ٢. المشاركة بمحادثة حول النسوية العربية الإسلامية. ٣. تسليط الضوء حول مفهوم حقوق المرأة لدى المرأة الفلسطينية الشابة. To engage in a conversation about constructs suppressing women’s voices and participate in activities to challenge those constructs. Bring members of the BabyFist family into a room for social connection. Engage in a conversation about the idea of Arab/muslim feminism. Join us for a conversation about what liberation means for the Palestinian woman. 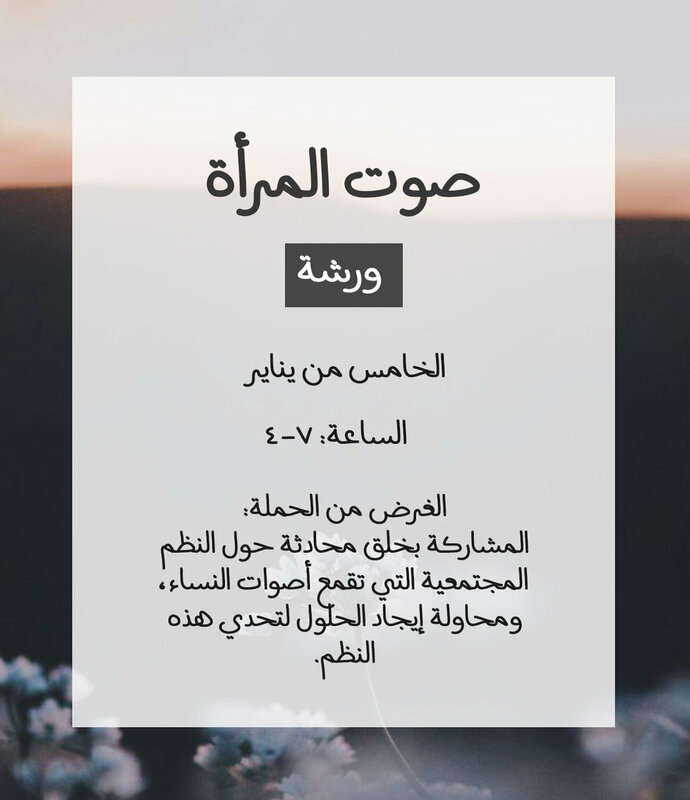 A workshop to enable young Palestinian women to engage in a conversation about Feminism, its varieties outside of the West, and its interaction with their daily lives.